Enfield Junior Karate Club has been running children's karate classes since 1990 and takes children of all abilities from the age of 6 years -16 years. 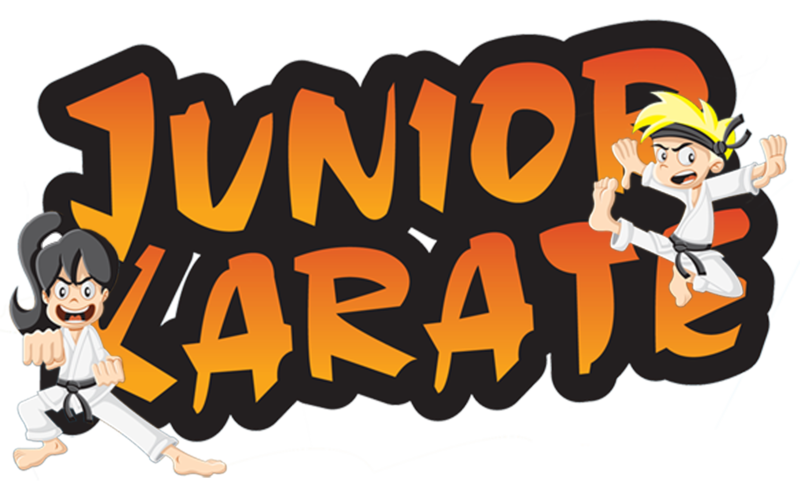 The junior karate classes run for 60 minutes are completely separate from adult classes. 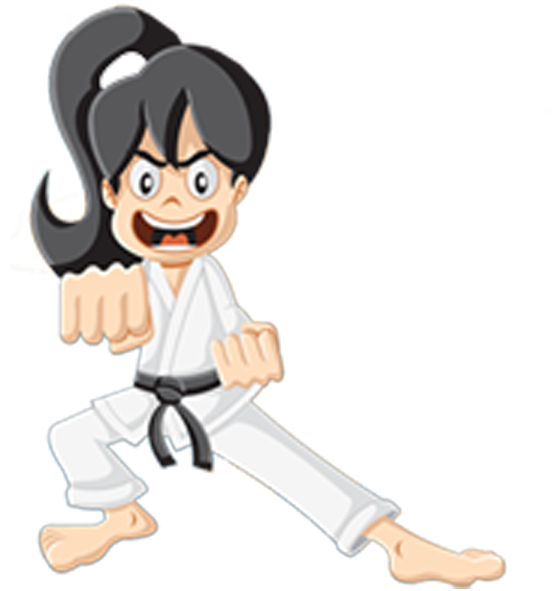 Enfield Karate Club instructors ensure all children enjoy their training in a happy, safe and disciplined environment. Parents and teachers often comment on the improvement in schoolwork and behaviour from children who train regularly. Karate training helps improve health, self confidence, self esteem and produce a sense of worth with all our students. Our children's karate program teaches much more than martial arts, it teaches students to be good citizens and helps prepare them for their future lives. The young students at the Club are treated with respect and are taught to respect others. We also instill in our students that wherever possible conflict should be resolved in a non violent manner. Like our adult classes the children learn the basic techniques of punching, kicking and blocking (kihon), stances, pre-arranged sparring (kumite) and solo drills (kata). 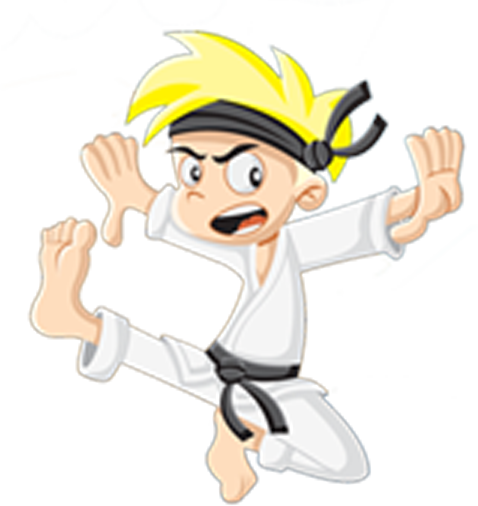 Enfield Junior Karate Club has a wealth of good instructors and classes with grading's held every 3 months, which are not compulsory but are the way the children progress to a different coloured belt. All Instructions are DBS checked and fully first aid qualified. Enfield Junior Karate Club has a friendly family atmosphere and parents are encouraged to stay and watch the classes. Please Note - for insurance reasons, we do not train children 2, 3, 4, 5 years of age. Children training starts at 6 years old. Enfield Karate Club is dedicated to providing good quality karate training to men women and children of all ages. As well as self defence, good health and character improvement are the clubs main goals. Enfield Karate Club has been teaching karate for over 30 years, practised by men women and children of all ages. Karate training will improve health, self confidence and overall well-being. Parents and teachers regularly report on the improvement in school work and behaviour of children who train regularly. Shotokan is a style of karate developed by an Okinawan teacher Gichin Funakoshi who introduced it to Japan in 1922. Shotokan has become the most widely practised style of karate in the world. Warming up and preparatory exercises. Basic techniques of punching, kicking and blocking (Kihon). Basic sparring and two person drills (Kumite). Conditioning techniques and warming down exercises. 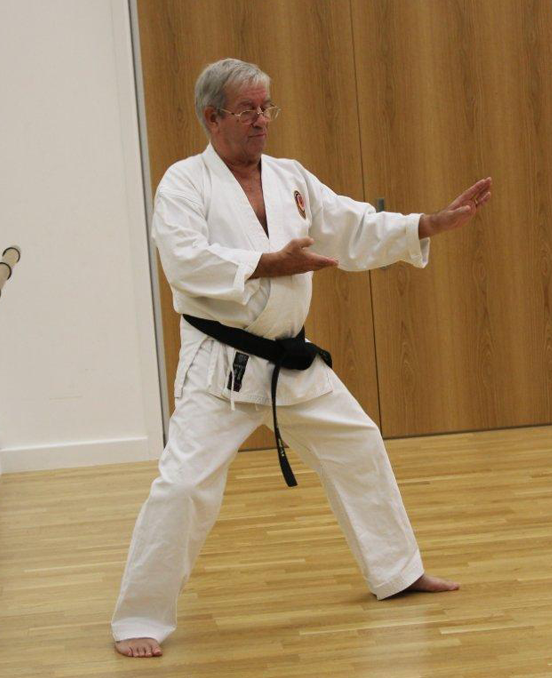 Sensei Barry Shearer has been training for over 40 years and teaching for over 30 years. Sensei Barry Shearer has been training for over 40 years and teaching for over 30 years. Sensei Shearer started karate at a club in Tottenham Polytechnic. His first lesson consisted of Gedan Barai and Age Uke, both of which he was able to display an understanding of instantly and prompting his instructor to constantly ask if he had ever trained before, not believing this was his first lesson. The club closed shortly after Sensei Shearer starting due to the high volume of injuries the other students were receiving. Sensei Shearer quickly found another dojo in Edmonton swimming centre run by Sensei John Van Weenan to pursue his karate-ka training. After some time training under Sensei Weenan, Sensei Shearer move to train with Sensei Eddie Whitcher at Brettenham Road, Edmonton. Sensei Shearer graded to 1st Kyu under Sensei Whitcher. It was whilst training with Sensei Whitcher that Sensei Shearar first meet Sensei Paul Perry who would later take over the running of the club and become an immeasurable inspiration on Sensei Shearers Karate-ka. Under the teaching of Sensei Paul Perry, Sensei Shearer took Shodan, Nidan and Sandan under Kanazawa Sensei and later Yodan, Godan, Rokudan and Shichidan under Sensei Paul Perry. On 13th August Sensei Barry Shearer was awarded 8th Dan with the honorary title of Hanshi. Hanshi is an honorary title given to the highest Black Belt of an organization, signifying their understanding of their art. During a course held by one of Japan's top instructors; Kasuya Sensei commended Sensei Shearer's technique to the rest of the class. During Sensei Shearer's Sandan (3rd Dan) grading, the chief examiner, Kanazawa Sensei praised him on his speed and technique in freestyle. Sensei Shearer's freestyle was later tested when Sensei Kanazawa invited the Japanese freestyle B Team to the UK to do a bit of freestyle and a private session with John Van Weenen, Peter Vidien, Colin Cull, Mick Dobie, Colin Martin and Sensei Barry Shearer. Once again, Sensei Kanazawa and the other Japanese instructors were impressed with Sensei Shearer's abilities with controlled freestyle with against the Japanese B team. In addition to our regular classes, Enfield Karate Club also offer private instruction, women’s self-defence courses, and corporate training. Enfield Karate Club offer bespoke programmes devised for many local schools, companies and councils, with success in many areas such as personal development, corporate safety and drug rehabilitation. Private instruction is perfect for students who may be returning to training after extended time off, or if they are preparing for a major rank advancement, looking to improve in a specific area, or simply want some focused attention. Many students have taken advantage of this opportunity prior to important competitions or gradings and benefited from the 1-2-1 sessions. Others are simply unable to make regular class or feel that they would rather train in a one on one environment before progressing into a full class. We are happy to arrange a women’s self-defence training seminar for your social, work, or church group. Learn practical defence techniques in a safe environment from an experienced and friendly martial arts instructor. Please contact us for details.